Mushroom picking is an usual autumn activity for those who was born in East Europe / Russia. It is absolutely unusual way to spend a weekend if you were born in Australia, as most of the mushrooms / fungi here are potentially fatal. 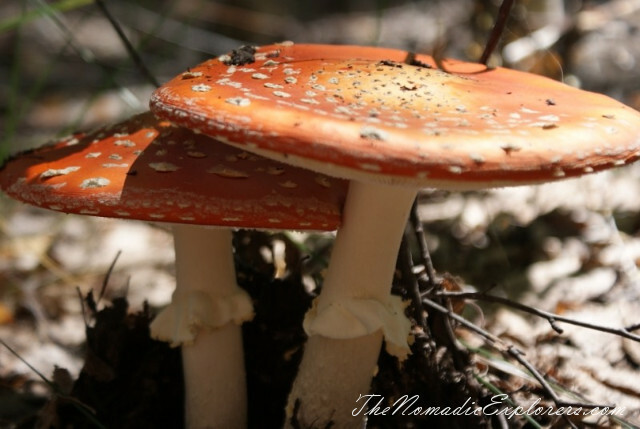 However there are two types of wild edible forest mushrooms: Saffron Milk Cap (Lactarius deliciosus, sometimes referred to as pine mushrooms) and Slippery Jack (Boletus portentosus), which grow in some pine forests (Macedon Rangers and Mornington Peninsula in Victoria, Mt Oberon in NSW). When the Europeans transplanted the pines, around 100+ years ago, the fungi spores were captured in the transferred root/soil clumps – fortunately for us. 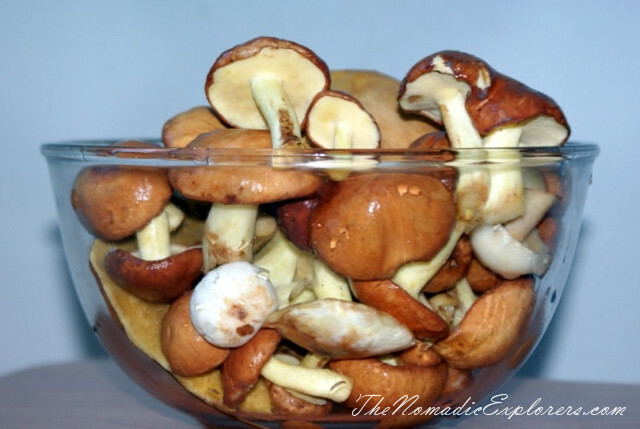 As Mount Macedon is only within a 2h drive from our home, we usually go there for mushroom picking. Entering Macedon Rangers forests is like stepping into another world. Under the canopy of the radiata pines, it is dark, quiet and littered with pine needles. Slippery jacks were definitely the most slippery of the two mushrooms – slimy and brown on the top plus slippery to find. There weren’t many about compared with the saffron milk caps. Slippery Jacks have a distinctive sticky, slimy brown cap and spongy mustard-yellow gills underneath. Saffron milk caps were more bountiful and some grew quite large. Saffron milk caps are much meatier than slippery jacks, and have a distinctive saffron coloured sap when they are cut. They also have distinctive orange gills, which are very sensitive and bruise easily. The bruised gills turn a green oxidized colour so try to pack them side-by-side rather than on top of each other to minimize damage. 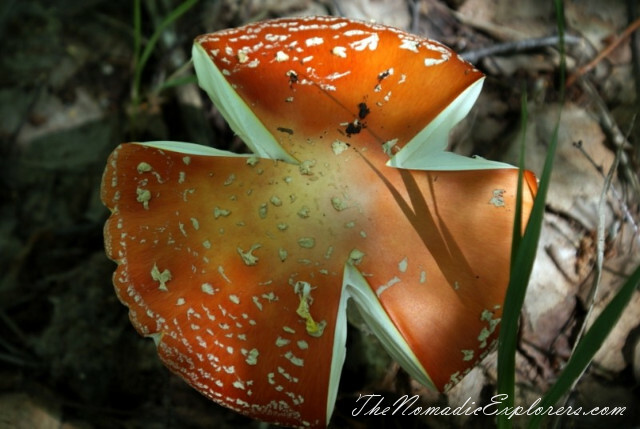 There were a lot of other beautiful looking mushrooms in the forest, which are potentially fatal. The mantra however was “if in doubt, throw it out”. 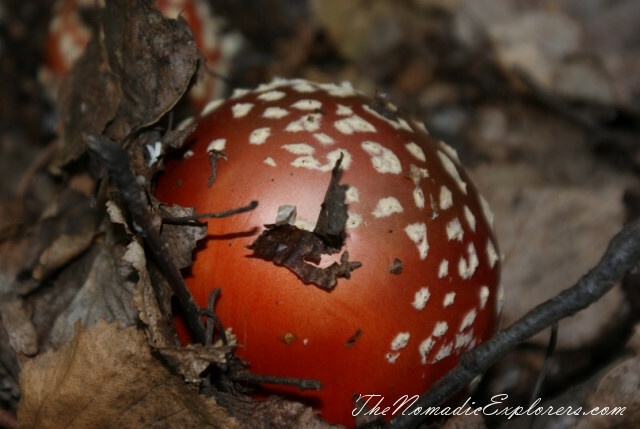 One of the prettiest mushrooms, which are great for photographing, are the fairy looking mushrooms that are bright red with white spots. Mushroom picking is a lovely experience at any time of the year, but between late February and late May it is mushroom season. Hope that you enjoyed walking with us.